Cast Iron Griddle Puffs (Aebleskiver) Pan Aebleskivers are a traditional Danish food somewhat similar to American pancakesand a great new family tradition for your own home. Fill the pan with whatever ingredients you love; try pancake puffs, mini cobblers, savory egg dishes, and more. You'll be delighted with the fun foods coming from your aebleskiver pan. Plus, our preseasoned cast iron is easy to cook with and maintain. Grab one for your kitchen today. 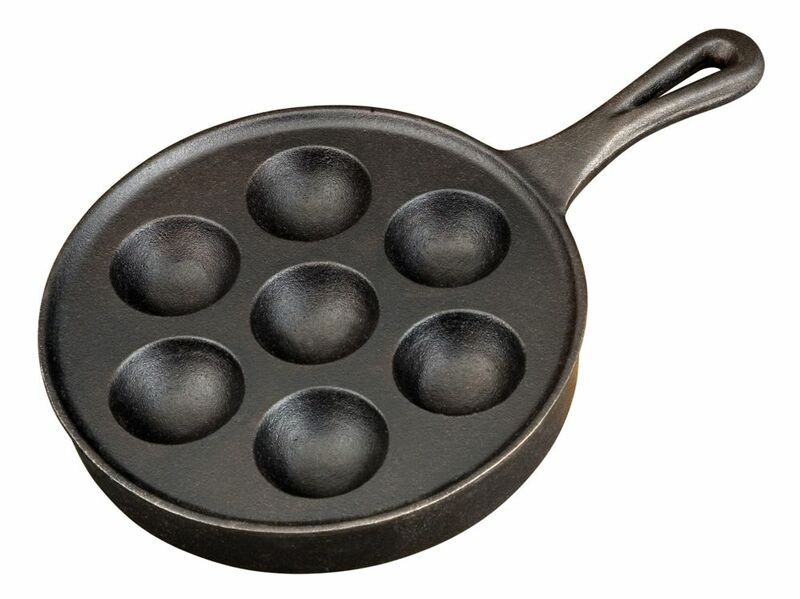 Cast Iron Griddle Puffs (Aebleskiver) Pan is rated 4.5 out of 5 by 2. Rated 5 out of 5 by Sylvia from I am very happy with this product. I couldn't find a better Aebleskiver maker than this one. Rated 4 out of 5 by Alpino from good product I use the iron skillet for making "Takoyaki" (Asian cooking.) The heavy iron makes it a good product for that purpose.